Introducing our newest series - The Redford Villa - Inviting front porch walking into the great room with dining room. Plenty of cabinet space with the Kitchen and island off breakfast area. Owners suite on first floor with Walk In Closet, Owners suite bathroom with walk in shower and double bowl vanity with linen closet. Upstairs the loft makes a nice cozy space leading to the large bedrooms both with walk in closets. 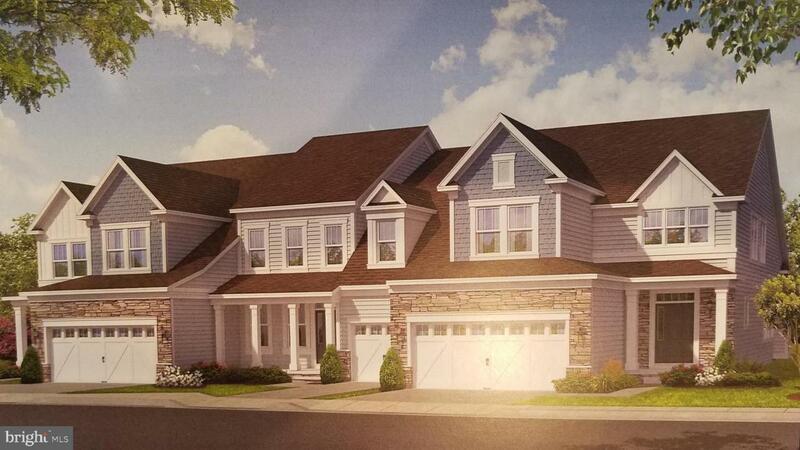 Visit the Ponds at Bayberry, New Castle County's Newest 55+ Community. Just 1 mile to Route 1 and just 15 minutes to the Christiana Mall and Christiana Hospital. The Ponds at Bayberry features maintenance free living with grass cutting, trash and snow removal take care of. The Ponds at Bayberry's 10,000 sq ft. Clubhouse is for the use of the Ponds residents. Overlooking a beautiful picturesque pond with a walking trail wrapped around it, the clubhouse includes a fitness center, aerobics room, ballroom, billiard room, community lounge, catering kitchen and bar. In addition to this amenity-rich building, the outdoor area of the clubhouse complex is full of resort-style luxuries with an outdoor pool, self serve tiki bar, tennis and pickle ball courts, bocce court, patio with fireplace pit. Photos shown are of model home. This is a to be built home.